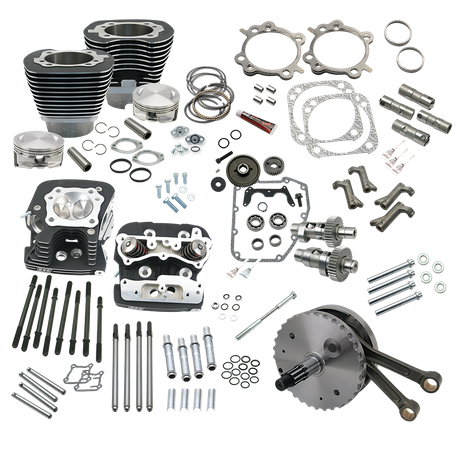 Crankcases must be bored to accept the larger 4-1/8" bore cylinders. S&S strongly recommends retrofitting 2003-'15 model crankcases to accept a Timken sprocket shaft bearing EFI engines will require tuning. S&S recommends S&S® VFI replacement Modules for model year 2000 engines with Magneti Marelli® EFI systems S&S recommends Dynojet® Power Vision® flash tuners for 2001-'06 engines with Delphi® EFI systems. Not legal for sale or use on CA or EPA pollution controlled motorcycles.